BUY A FULL SET AND SAVE MONEY! 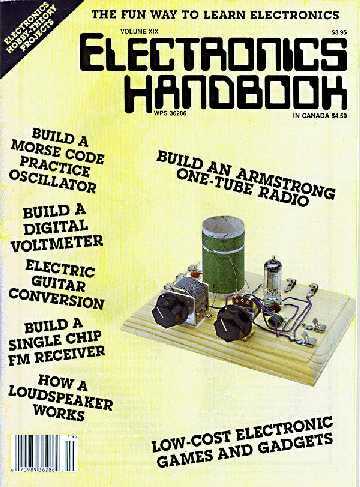 A full set of ALL of my ELECTRONICS HANDBOOK Article Reprints for $35.00. This is a savings of $10.60 off the individual purchase prices. 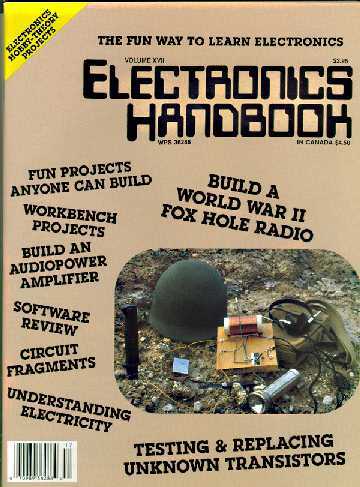 These articles originally appeared in ELECTRONICS HANDBOOK Magazine which is no longer being published. They are not available anywhere else at this time. 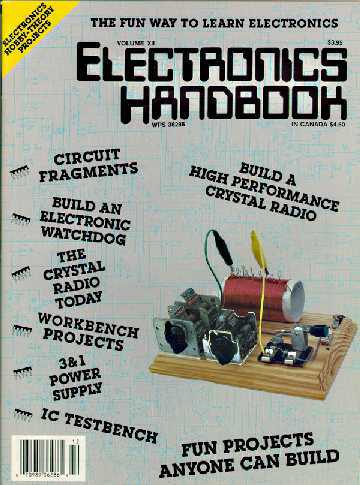 Everything you need to know to build a sensitive, selective A.M. & Short Wave crystal set. You can actually hear foreign short wave broadcasts from all over the world with this set. On A.M. it is selective and sensitive enough to separate strong stations in an urban area and to pull in A.M. DX at night. I designed this set with the beginner in mind, and yet was still able to retain the sensitive and selective double-tuned crystal set circuit features that have been proven so effective on many more complex and expensive sets over the years. I bent over backwards to write the easiest to understand construction procedure possible. I use the simplest construction techniques and easy to obtain parts and materials.  I tell you where to get all of the parts and provide a list of suppliers for the crystal detector and air variable tuning capacitors. I actually took my tuning capacitors out of some old junker radios. They work as good as the ones that you can buy. 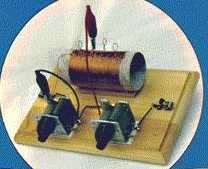 An easy-to-build example of the loose coupler that was the mainstay of wireless stations onboard ships and on-shore all over the world in the early days of spark and crystal detectors. The loose coupler allows you to adjust the selectivity of the circuit, thus making it easy to separate stations in crowded urban areas. This article was to be published in Volume 20 of ELECTRONICS HANDBOOK Magazine. The publisher never printed this volume. High quality copies of this article are made from the original manuscript , drawings, and photographs. A simple circuit that effectively removes strong, loud stations so you can hear the weaker DX stations with a crystal set or one-tube set. I live in Houston, Texas. There are many very strong A.M. Broadcast stations near my home. I have used as many as five of these QRM filters connected in series with the antenna. With this set up I have been able to tune out five strong stations and could then hear weak DX stations hundreds of miles away at night with my crystal set and a good pair of headphones. This project uses simple construction methods and easily obtainable parts and materials. 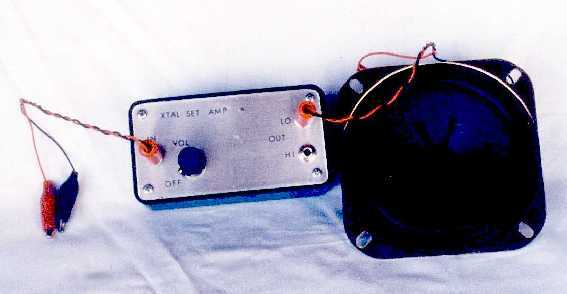 An antenna tuner maximizes the efficiency of your antenna system. It will increase the signal strength and volume of any crystal set, or one-tube set. This one is simple to build using readily obtainable materials. I listed the sources of parts for this tuner. The air variable tuning capacitors are the hardest part to locate. I give you several sources for these capacitors. 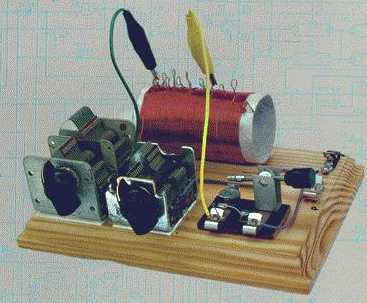 This easy-to-build amplifier is made from parts that you can get at Radio Shack. To make it easier, I even list the Radio Shack part numbers where it is appropriate. This powerful little integrated circuit amp allows you to play your crystal set, or one-tube set, through a loudspeaker at room volume. It uses an efficient high impedance input circuit that will not load down the crystal set's tuned circuit. This allows it to operate at top efficiency and enhances the "Q", or selectivity and sensitivity of the crystal set. Output power is up to 1 watt. This is plenty of power to be uncomfortably loud at full volume on a strong station and to allow you to hear weak DX stations that would be inaudible with even the most sensitive headsets. It is powered by a standard 9 volt battery. 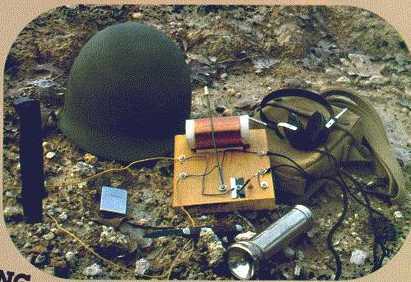 Duplicate the little razor blade radios that the GIs used in their fox holes to listen to the Armed Forces Radio Service and Axis Sally during World War II. This article describes the construction of two different razor blade radios. One is the simple set that most of the GIs built. The second one is a ï¿½Souped-upï¿½ version that uses a better tuned-circuit and a bias battery to optimize the performance of the razor blade detector. 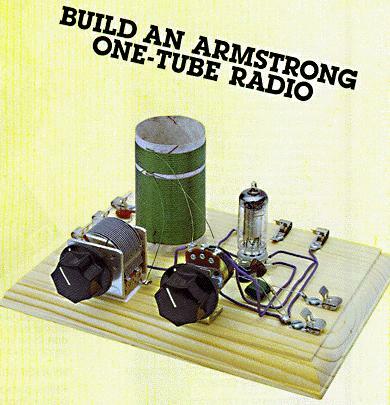 A "Hot" little one-tube set that uses Edwin Howard Armstrong's Regenerative circuit. This set has been built by hundreds of readers. Readers have reported great DX reception on the AM Broadcast band! Everything you need to know to restore an All-American AC-DC radio. This is a very detailed explanation written with the beginner in mind. It tells you how to test tubes with a multimeter and how to repair cracked Bakelite. This article has been called by one reader: "The authority on this subject." 1. For Mail Orders: Email us and tell us what you want to order and we will reply with your total including shipping and our mailing address.